One of the weirder stories of last weekend that sort of got lost in the ‘Why is every game coming out this month?’ kerfuffle, is that Sega released a cheat code for Let’s Tap on the Wii allowing you to actually change the required ‘Tap’ action that triggered any activity in the game. Instead ‘Free Style’ mode allows you to play the game as you wish, possibly making it the first game that you can years after release artificially add waggle to. (2) Press button B to return to the controller selection screen. And that’s it. 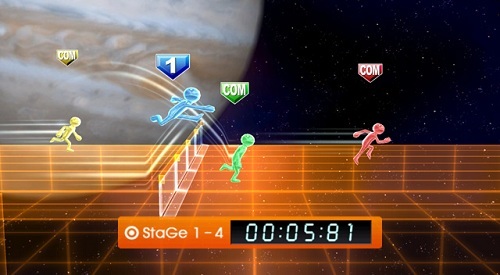 Free Style mode is unlocked, allowing anyone who lives on the inside of a sphere the ability to play the game even without a flat surface to tap on. So, you know.. good for them. That code seems quite complex to input. …I know I wasn’t the only one thinking it. @Manic – I was thinking that but didn’t want to ruin my innocent persona by saying such a distasteful thing.